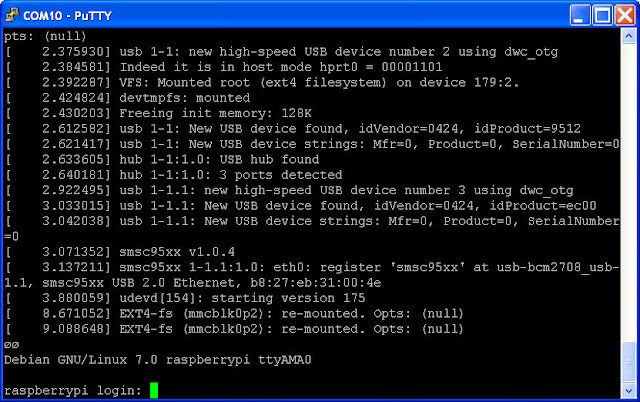 In my previous post I explained how to connect to the GPIO serial port so that the another computer can be connected to the Raspberry Pi either directly using its serial port or via a USB to serial interface (I've used both methods and the end result is the same). 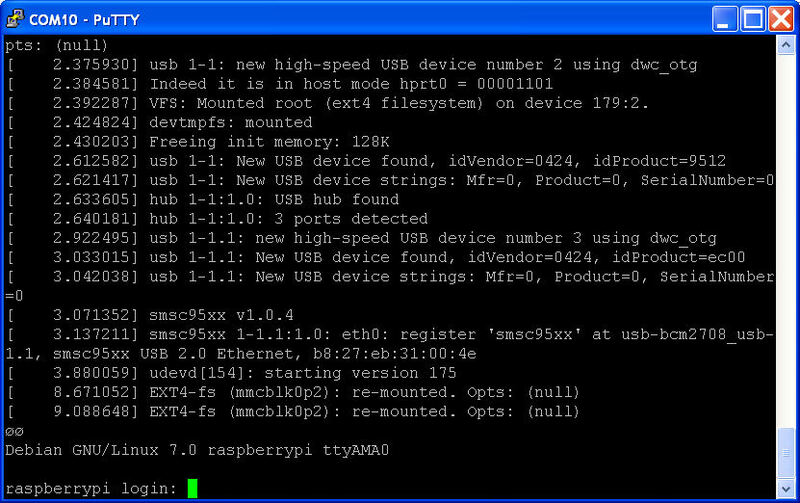 This opens up the possibility of running the Raspberry Pi remotely via the Pi console, but to do this requires some software to be installed on the host computer. Change the "Connection type" to "Serial" and then specify the serial port you want to use (in my case COM1) and set the speed to 115200. Note that if you are using a USB to serial interface connected to your host computer you'll probably need to have a look at "Devive Manager" to see what port number has been assigned to it. If you are using a physical serial port then it's probably going to be COM1 or COM2. Notice the line just above the login prompt - the address "ttyAMA0" refers to the serial interface on the GPIO header. 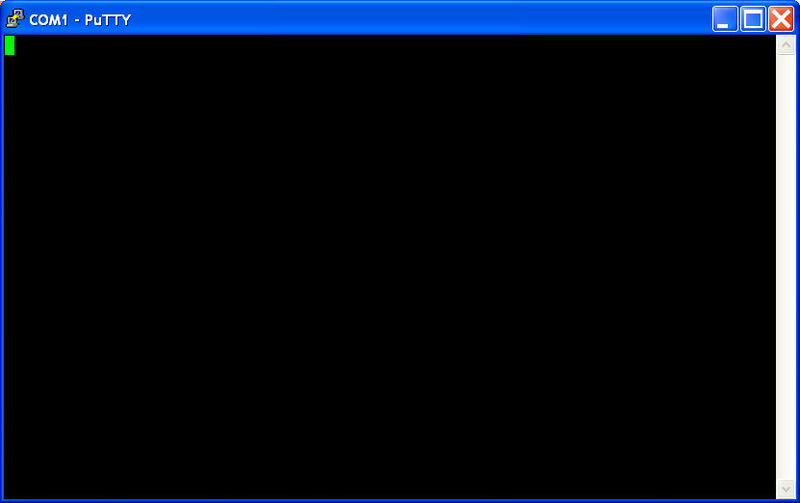 Go ahead and login as normal and you'll get to the command line interface, just as you would when working directly on the Raspberry Pi. 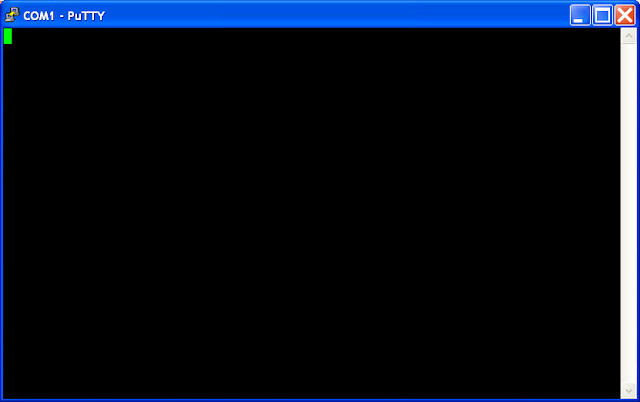 Now click "Open" to connect to the serial port, and you should see a blank console window. Proceed as described above for Windows users (i.e. 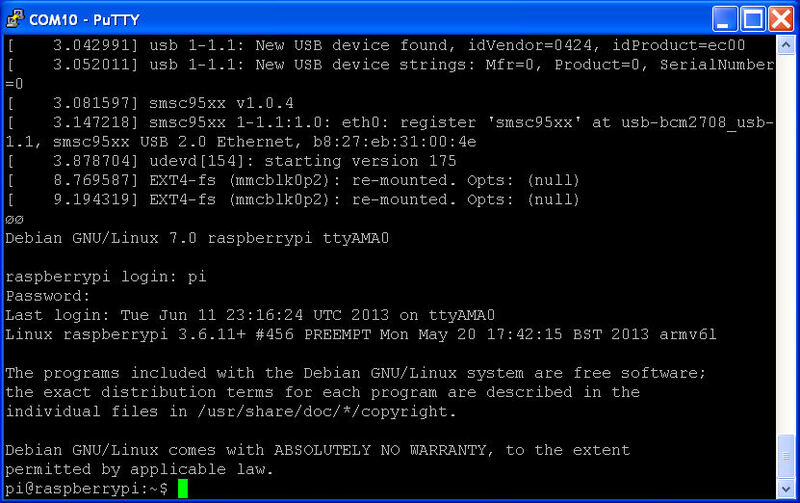 connect your Rasperry Pi and power it up), and you should be able to login to your Raspberry Pi from your Linux system. It does make your Raspberry Pi a lot more portable when you don't have a keyboard, screen and mouse connected to it. The only connections you need are a power source and the serial connection, which consists of only three wires. I took advantage of this portability and took my Raspberry Pi outside and placed it in front of my cat's bowl and waited until he came to feed. 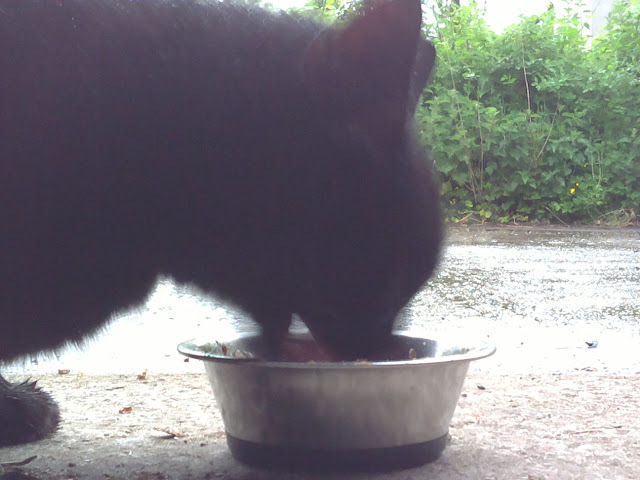 I was then able to remotely take photos of him eating out of his bowl using the Raspberry Pi camera module. In my next post I'll take the portability one stage further by using a wireless serial link. I am getting the boot-up messages, but not the login prompt. If there is a "#" character at the beginning of the line delete it, save the file, and reboot your Raspberry Pi.